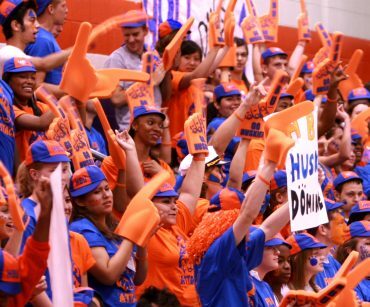 Life-changing opportunities, small classes, engaging and concerned faculty, and student activities for every interest: these are the highlights of the Archie W. Dunham College of Business at Houston Baptist University (HBU). The mission of the Archie W. Dunham College of Business is to serve Christ by building innovative leaders of character, empowering them to actively engage in the development of their organizations, communities, and society. In the Archie W. Dunham College of Business, we develop innovative leaders of character. Our programs – undergraduate and graduate – are centered on preparing you to be successful in the career to which you are called. You will receive thorough and personal preparation in our academic programs, from faculty who are experts in a variety of business disciplines, holding high academic credentials and professional expertise. 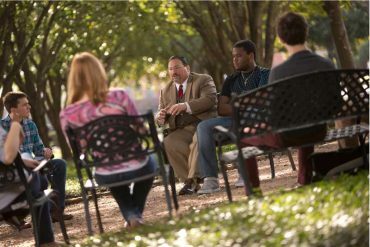 The HBU Business programs are not only about tools and skills, but also about ideas. While skills are necessary in the marketplace, ideas are critical for building the future. At HBU, we are committed to going beyond helping students to understand what “is;” we teach them how to consider what might be. The Archie W. Dunham College of Business is a leader in business education in the Houston area. An important element in our students’ experience is the ongoing opportunity they have to connect and interact with leading Houston-area global businesses. 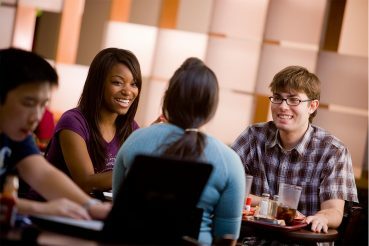 The College’s majors and programs will give you a solid grounding in theory, ideas, and the added advantage of practical application of skills and knowledge through internships, travel abroad opportunities, and one-on-one contact with faculty who bring the highest academic and professional credentials to the classroom. We offer five majors to more than 450 undergraduate students, and five master’s degrees to over 200 graduate students. The graduate degrees offered are the Master of Business Administration (MBA), Master of International Business (MIB), Master of Science in Human Resource Management (MS-HRM), Master of Science in Management and Entrepreneurship (MSME) and Master of Accountancy (MACCT). 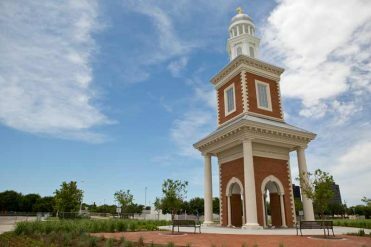 Houston Baptist University is nationally accredited by the Southern Association of Colleges and Schools Commission on Colleges (SACSCOC). Please contact us using the information on the right. We’d love to talk with you. The Archie W. Dunham College of Business prepares students to succeed in the modern business world. Our small classes and outstanding faculty provide a learning experience that is personal and rewarding. You can expect to be mentored in an environment that provides a world-class education and is built on a strong Christian foundation. We believe that tomorrow’s leaders must have strong character and be innovative in their approach to solving problems. We gear our coursework to prepare students to be innovative leaders with strong business fundamentals and Christian values. An HBU business education will prepare you to tackle the challenging business issues of the 21st century. Our professors will prepare you with the skills, knowledge, and values that will allow you to thrive in your career and personal life. The Center for Christianity in Business (CCB), an integral component of the Archie W. Dunham College of Business, has the mission to equip and encourage leaders to carry their faith into their organizations. Please click on the link for more details about the Center. The Archie W. Dunham College of Business offers many student organizations to expand the learning experience of our students and prepare them for their professional careers. Accounting teaches you how to track money; economics teaches you how to make decisions; finance teaches you how to make money work for you.